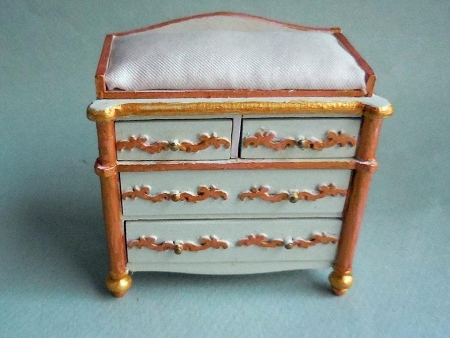 3 Piece Regency Crib Set custom painted with gold trim and a Fleur de Lis accent. 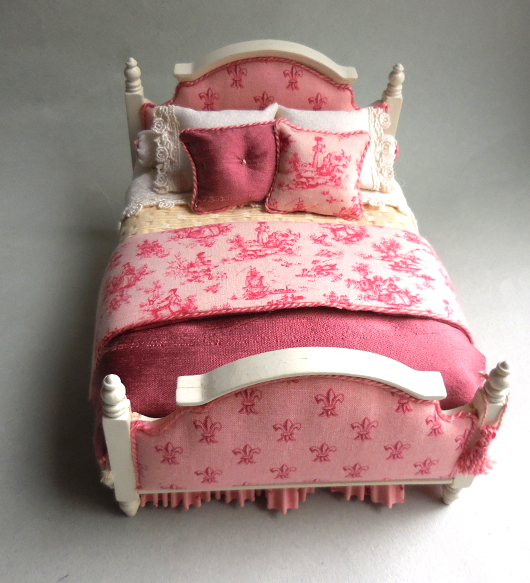 It has pink silk bumpers with matching pink silk quilt and pillow. Both the quilt and pillow are loose. 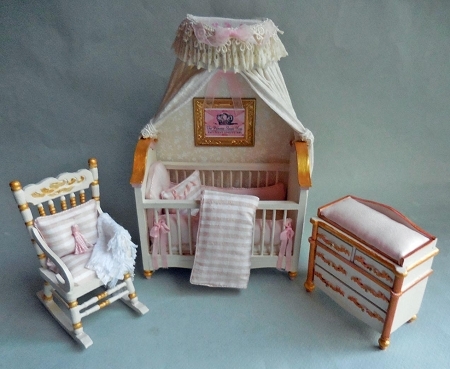 The crib has lace edged tied back drapes of ivory fabric with a crown of lace. 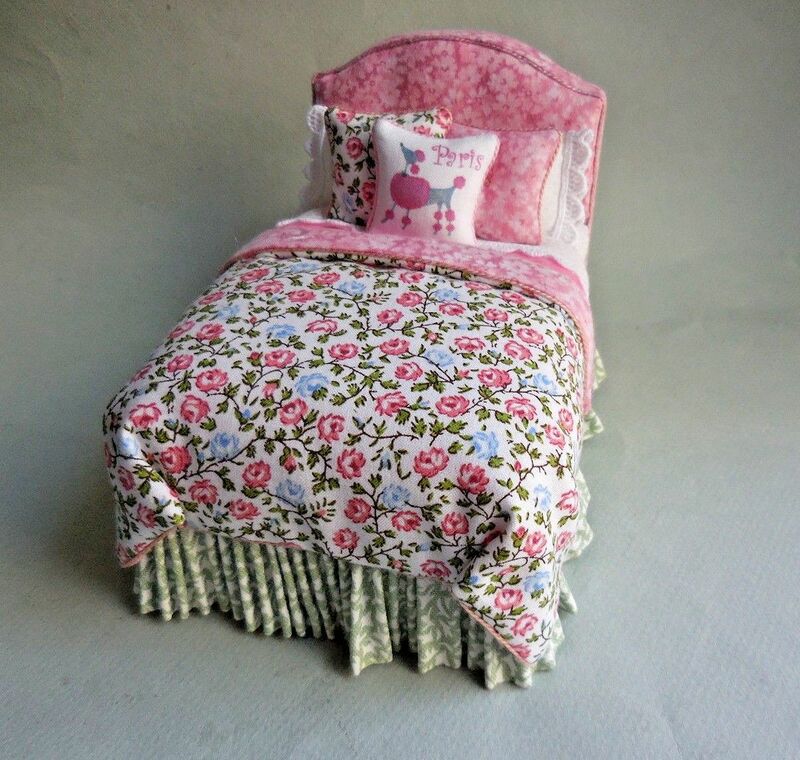 It has a sweet 'Princess Sleeps Here' picture. The matching dresser has a pink silk changing table. The set includes the 'Bundle of Joy' shopping bag. The crib is 7" tall, 5" wide and 3 3/4" deep.